Need a new boiler in Northallerton? Get FREE no-obligation quotes now! DGAP solutions is a highly qualified Gas engineering service provider, working on installing, servicing and breakdown issues relating to all gas appliances. Hi. I have my own company which includes 3 vans. Also 2 employees. I have been doing plumbing and heating for 10 years now. I am a time served heating engineer/plumber since 1976. 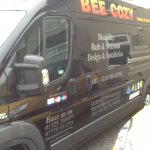 Bee Cozy has been established since 1997. We are Gas Safe, OFTEC & Part P Electrical certified company. All aspects of plumbing & heating with comprehensive guarantee We work in all areas around the North East and Yorkshire.